Forever Famous presents the Pentacle Clutch! 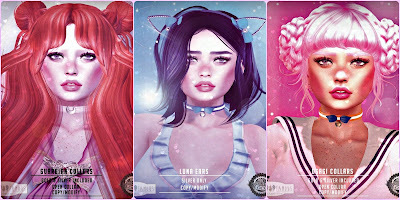 Each bag is only 99L, and Exclusive to Suicide Dollz. Forever Famous is back, with brand new Spiked Heart Collars for The Dressing Room. 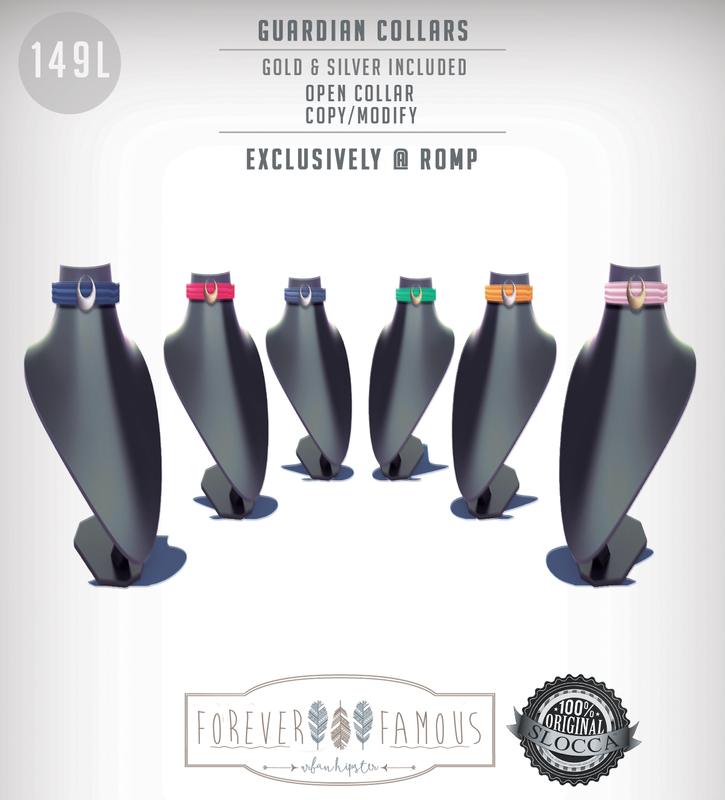 Each collar is only 70L for this event! 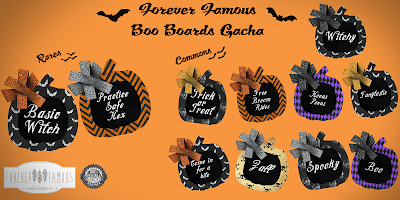 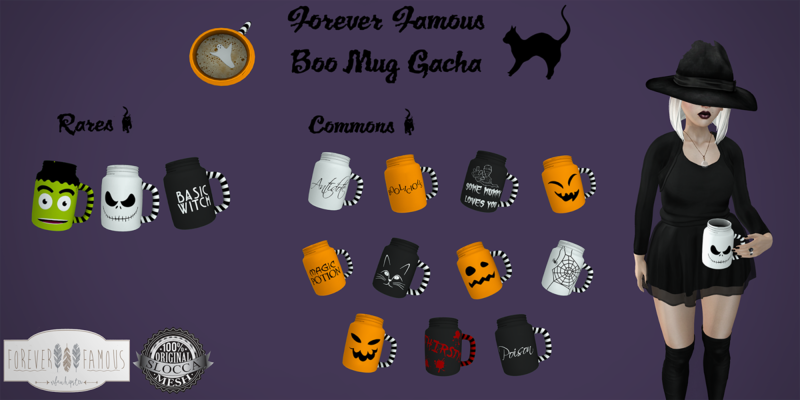 For Freak Show Gacha, we have Halloween themed Boo Boards & Boo Mugs, for only 35L per play! 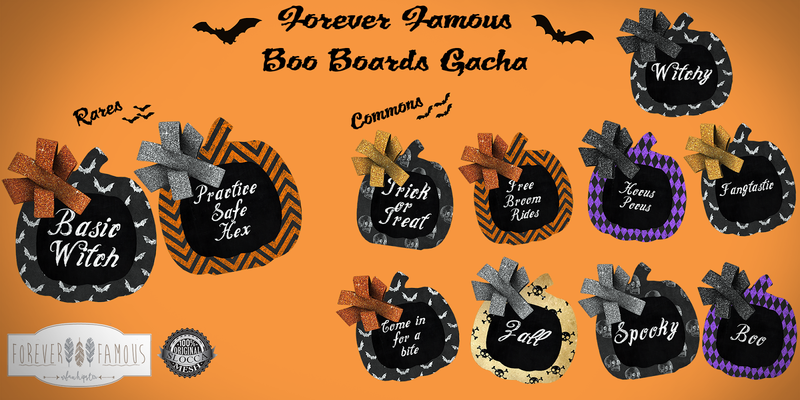 The event begins 10/16. 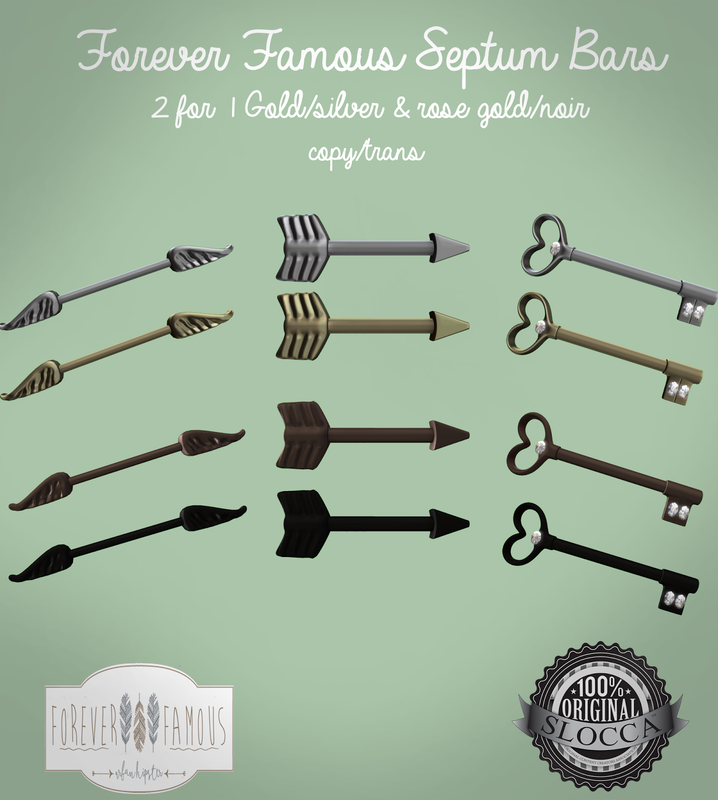 Coming tomorrow, September 12th to the Body Modification Expo: Forever Famous Septum Bars (Angel Wing, Key and the EXCLUSIVE Arrow Septums)! 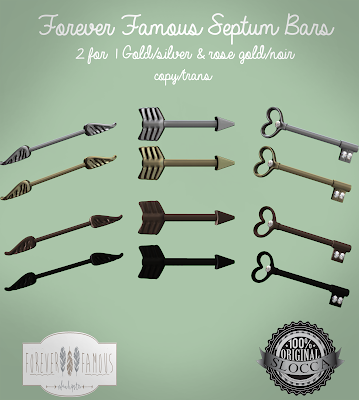 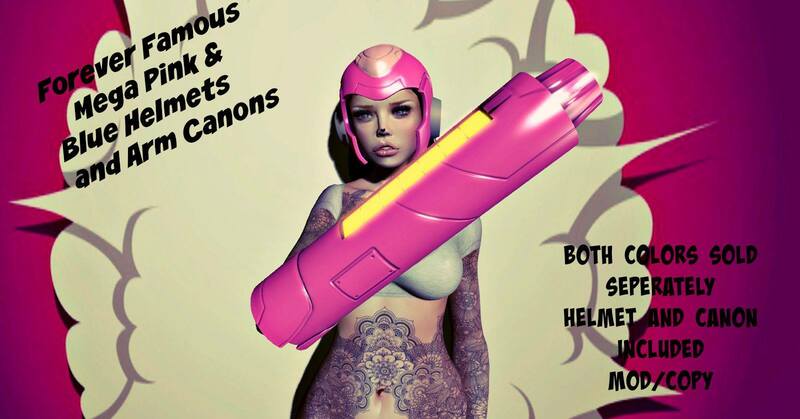 For this event, we are doing a 2 for 1 special! 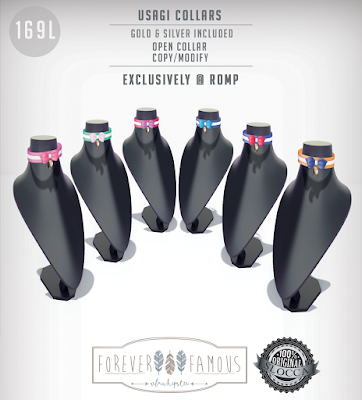 Each septum comes with either Silver & Gold or Rose Gold & Noir. 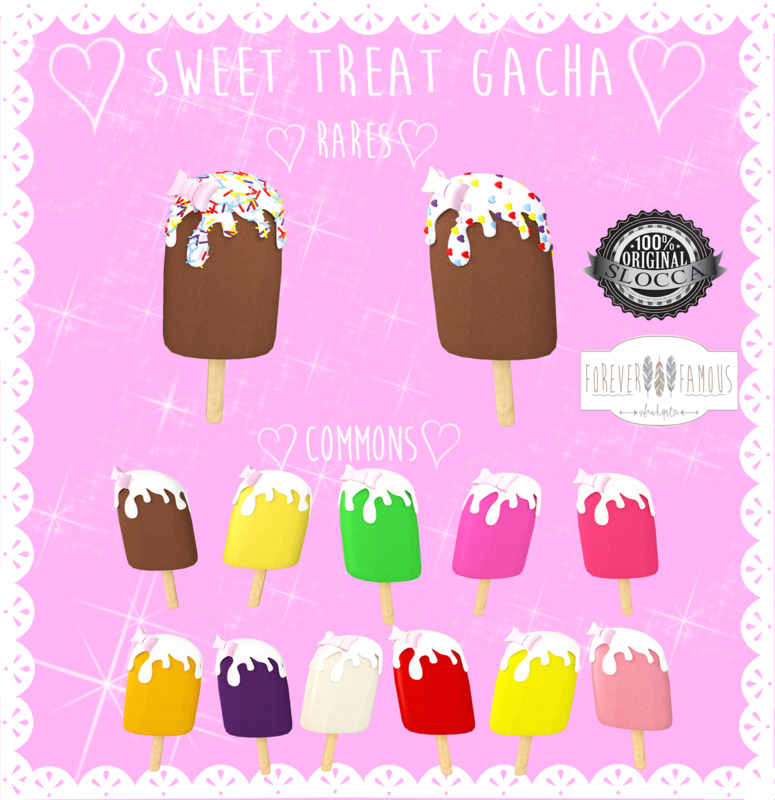 Sweet Treat Gacha & Sweet Treat Floaties @ OMGacha! 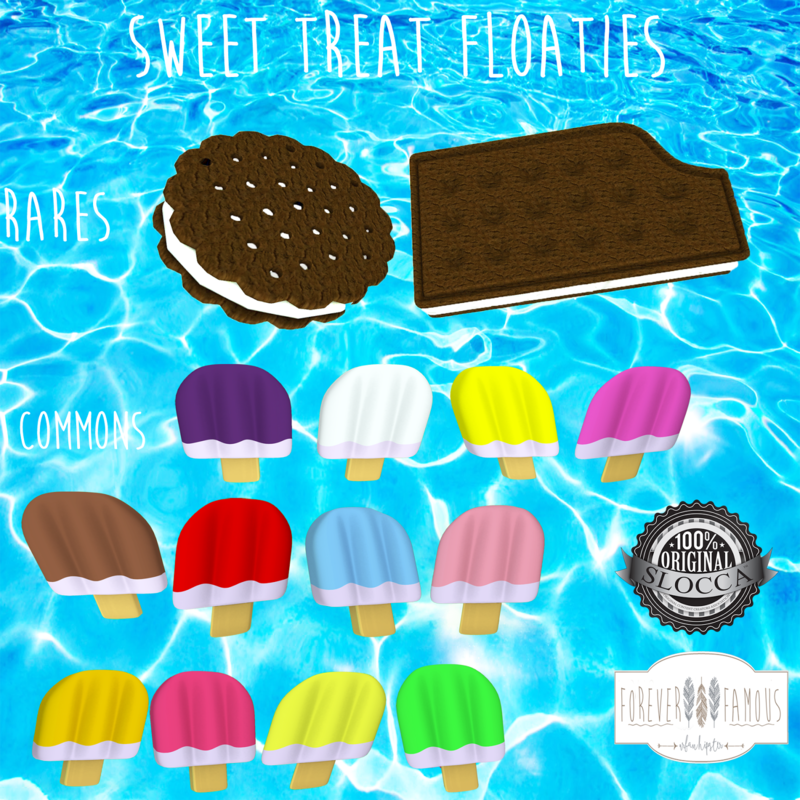 Coming on July 10th to OMGacha.. Sweet Treats & Sweet Treat Floaties! 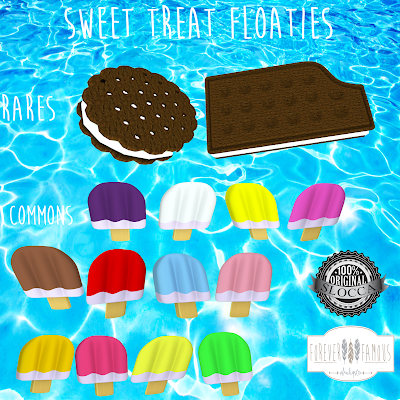 12 Rare Popsicle Floaties, and 2 Rares (Cookie Floatie & Ice Cream Sandwich Floatie) LM Coming Soon!